There are so many charities and causes competing for our attention these days that it’s difficult to focus our attention on just one. In this social media driven world attention spans are short and ‘down time’ is a precious commodity. How many of us are so truly passionate about a cause that we can take the time to fully focus and share our passions with others? If you think about it, chefs do this all the time. Sure, they sometimes get lost in the daily monotony; the cycle of preparing and serving food on a grand scale, but there are also moments of passion when they can truly take a moment to wonder about, and appreciate the food sitting in front of them. The taste of grass fed beef, the freshness of local fior de latte, the sustainability of the ocean’s fisheries. Wait. Fisheries? 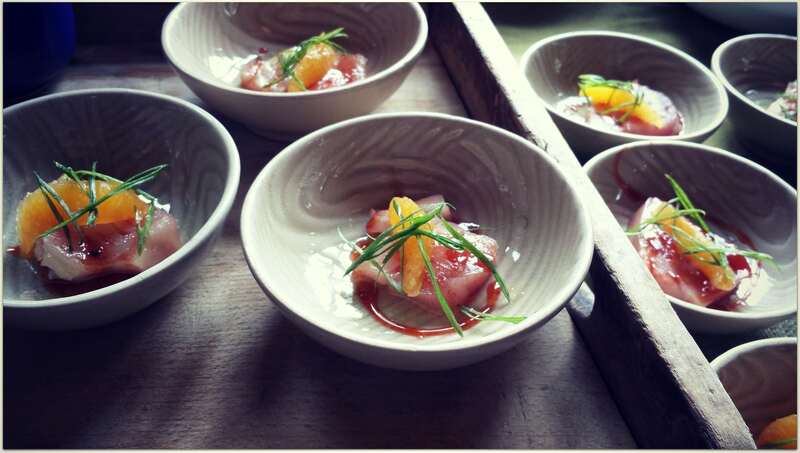 Do chefs really have time to think about fisheries? Chef Ned Bell, executive Chef at Yew Seafood & Bar (Four Seasons Hotel, Vancouver), does. 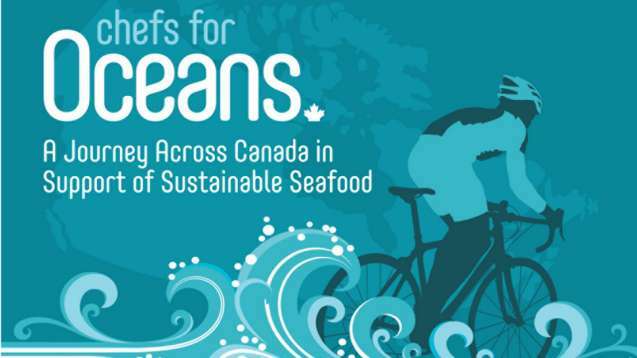 He’s currently on a cross Canada cycling journey, the Chefs For Oceans tour to raise awareness and promote sustainable fish choices using Sea Choice and the Vancouver Aquarium’s ‘Ocean Wise‘ program. With the heavy volumes of fishes, bivalves, and crustaceans consumed across Canada (and the world) daily, both programs recognize the need to maintain current research on fisheries, manage consumption based on the same research, and educate the restaurant and retail industry to help them make sustainable fish choices. What is this word ‘sustainable’? In regards to fisheries it means that the fish caught (or farmed) and consumed was of an abundant and resilient species and that it was caught in such a way as to have little or no effect on other species or the aquatic environment. That’s a pretty tall order. The Ocean Wise and Sea Choice programs make it easier for businesses and consumers to make informed decisions about which fish to cook for dinner and aim to ensure that we’ll have seafood for generations to come. As the executive chef of a West Coast seafood restaurant, Ned Bell’s passion for promoting sustainable fish choices is strong and definitely worth riding 8766 kilometers for. Chef Ned Bell is not the only chef passionate about sustainable seafood. Here in Calgary we have over 21 restaurants taking part in the Ocean Wise program, that is not including Canada wide chain restaurants such as Ric’s Grill, Earls, Moxies, Joey’s, Milestones, and Original Joes. 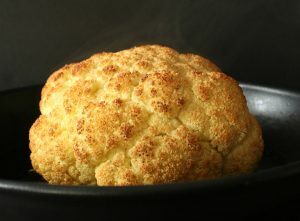 Think of the volumes of seafood these places go through and you have an idea at how successful the program is becoming. Yesterday afternoon I had the privilege to attend the Chefs For Oceans Calgary media event held at River Café. 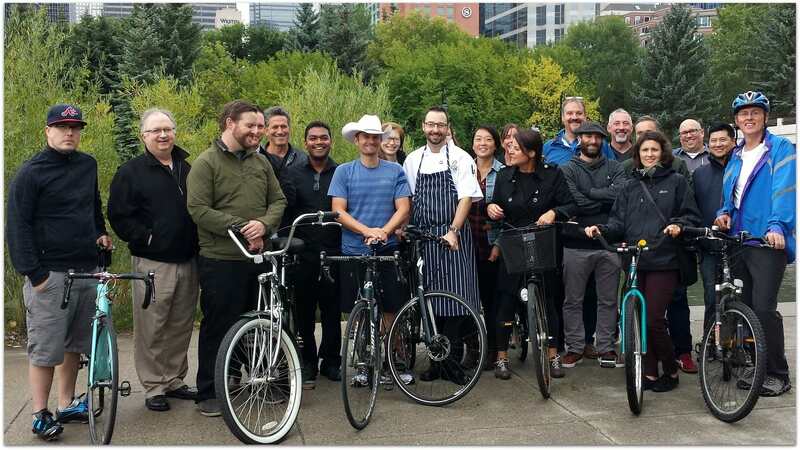 We began by taking a group photo of some of the most passionate-about-sustainable-seafood chefs in Calgary, and then watched as Ned Bell got ‘white hatted’. Which means (keeping it short and sweet) that Calgary loves him. Then we all made our way to the River Café for an afternoon of discussion with great food and wine. Chef Kyle Groves (Catch Oyster Bar), Chef Paul Rogalski (Rouge) joined River Café chef, Andrew Winfield in a delicious Ocean Wise amuse bouche collaboration. The warm hospitality of River Café was welcomed on such a chilly day. 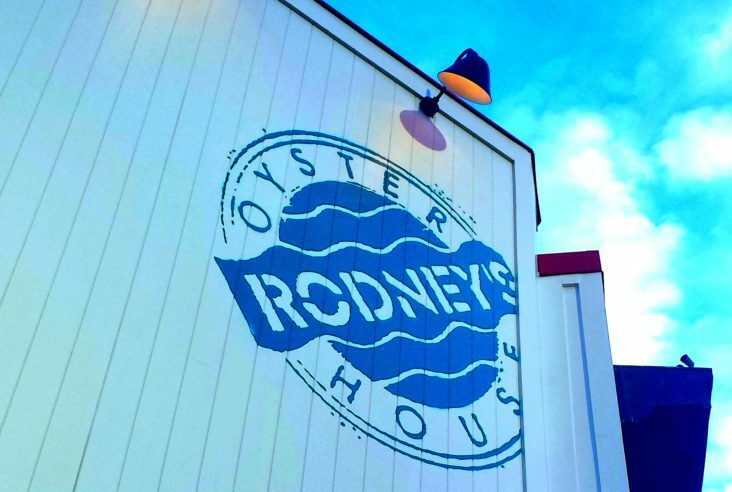 If you’ve never been, it’s an experience like no other; kind of like heading to a cabin on a lake but with world class food and service. I was glad that Ned was getting a day of rest and that he didn’t have to ride in this chilly rain through the Rocky Mountains. He did leave Calgary this morning and has a few more stops and a whole mountain range ahead of him before he gets to enjoy his own bed again on September 12. 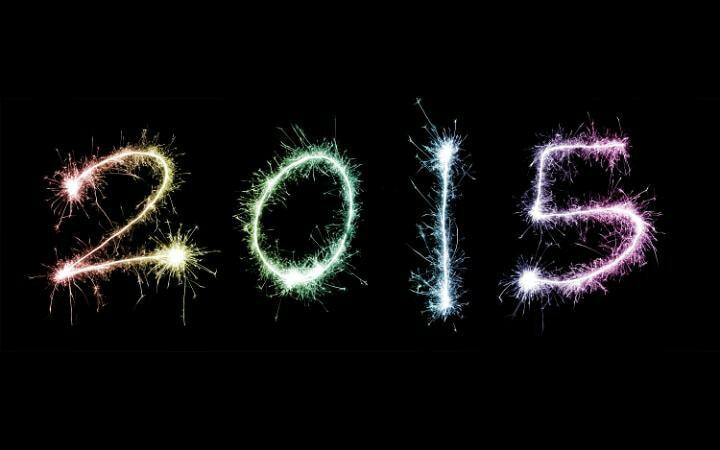 Welcome to 2015…Eat Great Food! 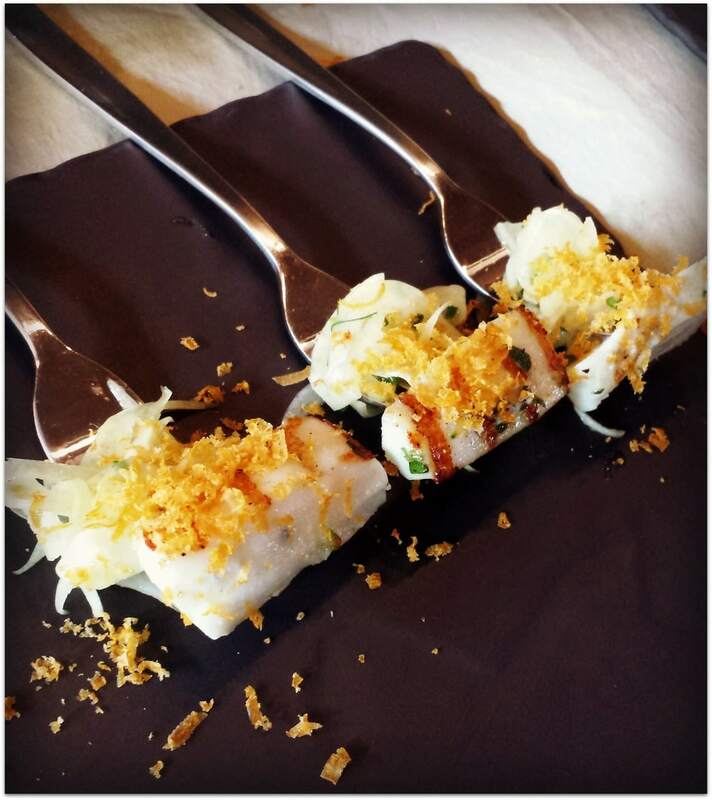 Thank you for posting about this event on your blog – we appreciated the opportunity to meet you and hope to connect with you again soon on more YYC culinary events! Thank you very much Kristi. The pleasure was mine.